Thanks to the large gains in the markets my net worth almost increased 5%. Furthermore, it’s another month where I earned over $2,000 from side incomes. 🙂 My dividends and interest payments are getting bigger each quarter! But it’s no big deal. All I did was consistently invest in dividend growth stocks and high interest fixed income securities for the past 7 years. But is this recent market rally sustainable or is it on borrowed time and we’re past due for a correction? I think it doesn’t hurt to be cautious when stocks are trading beyond their fundamentals, so I’m preparing for a potential pull back by keeping some cash around. My immediate plan for April is to save more money, pay down some debt, and fight any urge to buy a new stock that happens to catch my attention. I realized that I should probably divest away from the stock market a bit as it’s taking up too much of my asset allocation. I’ve been corresponding with a venture capital firm in the U.S. about investing my money in some start-up companies. 😉 I haven’t decided to do anything with this yet, but I think it’s a worthwhile opportunity to explore. Providing seed money for small businesses can have big payoffs with the right management team and execution, but it is also much riskier than investing in the S&P 500. Many folks should use tax deferred programs such as the RRSP or 401(k). Contributions made into a retirement account is tax-deductible and can grow tax-free in the account. When it is eventually withdrawn and taxed the plan holder will likely be in a lower income tax bracket. I would personally try to keep investments that produce mostly capital gains or eligible Canadian dividends out of my RRSP. But that’s just my personal preference for tax efficiency. 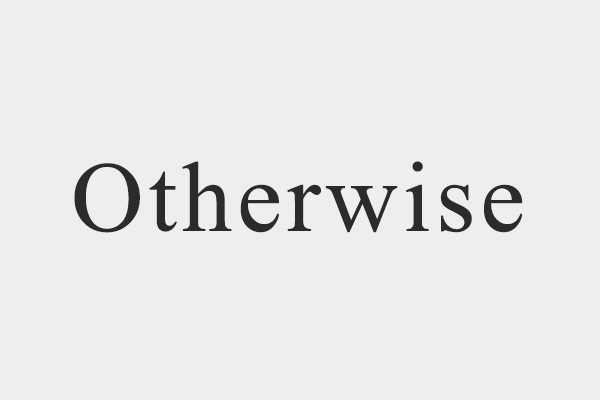 The picture in this link here definitely says otherwise. What if it’s still smarter to contribute to an RRSP today even if our marginal tax rate will be higher in retirement? When we make a tax deductible contribution to our RRSP today, the immediate tax relief we get is based on our marginal tax rate. So if our marginal tax rate is 30%, then we would receive $300 by contributing $1,000 to a registered retirement account. But when we withdraw money from this RRSP (or RRIF,) the money we take out is only taxed at our average tax rate, not the marginal tax rate. For example, if we request 12 monthly withdrawals a year from our retirement account then these payments would be taxed similarly to receiving work income from a job where each payment reflects our average income tax rate. This is due to our progressive income tax system. In Ontario for example, the first $45K of income is taxed at roughly 21%, then the next $28K of income is taxed at 30%, and so on. So if we make $100,000, then we actually pay about $26,000 of income tax, which makes our average tax rate 26%, even though our marginal tax rate would be 38%. Some people on the internet can’t figure out how many girls are in this picture. Usually when investors talk about expected market returns we like to look at historical averages. Over the past 115 years stock markets in the developed world delivered an annualized return of roughly 8.5%. This means we can probably assume that a normal range would be somewhere between 6% and 11%. I use TD as my discount brokerage at the moment. It has a useful tool to help me gauge my portfolio performance over the years. Most of my stocks are held in registered accounts such as TFSAs or RRSPs, which have preferential tax benefits. 🙂 Here is a quick overview of how my securities in those accounts have performed over the last 3 years. The green line represents my portfolio performance. As we can see my overall stocks have achieved a 7.33% annualized rate of return since Sept 2012. This is not that surprising and falls within the 6% to 11% range of a normal market return. 🙂 Also since I can’t use margin to borrow and invest inside these registered accounts, none of my stocks in this chart uses any leverage. The blue line represents the Canadian stock market index, which has only returned 8.65% over the last 3 years, or 2.8% annualized. This means I technically beat the market here in Canada by more than 4% a year, which is just peachy keen! 😀 But that’s probably because I hold some U.S. stocks in my RRSP and TFSA. Here are a few things I learned from this performance chart. I’ll be keeping these things in mind going forward. It’s possible to pick and choose individual stocks without underperforming the market index, as long as you have the discipline to buy and hold most of the time. Buy some foreign currencies to hold investments that are denominated in those currencies. Diversify globally. Holding a Canadian equity index fund, like the Vanguard Canada All Cap Index ETF, (symbol VCN,) would have barely even beat inflation over the past 3 years, and even the past 5 years.